My name is Lisa and Views from the RoofTop was orginally started as a promotional blog for my home craft business, RoofTop Creations, where I take found objects, items from nature, and cast-off materials (some people call this trash!) and repurpose these materials into useful and fun household objects. RoofTop Creations is named for RoofTop Chalie, my sweet, faithful dog who had more love to share than he has common sense! 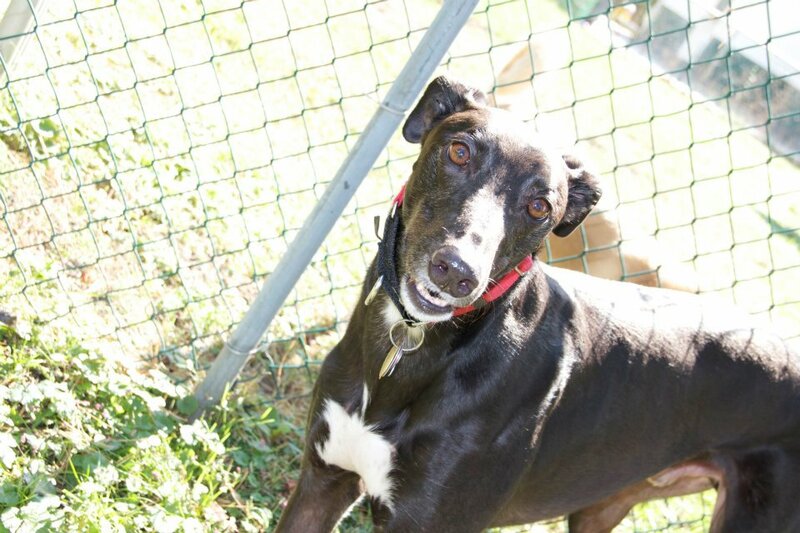 Chalie spent the first part of his life working hard for a living as a racing greyhound in Birmingham, Alabama. His life took a turn, though, when he was repurposed to be a lazy, and cherished family pet. Chalie had never seen a car or a house. He had to learn to walk up stairs and to not bang into glass doors. His repurposed adventures had begun! At RoofTop Creations, I believe everything has a purpose and everything can be REPURPOSED! This blog began with my adventures in crafting, recycling and salvaging (some unkind people might call this trash-picking.) It evolved, though, into a place to share my feelings and observations on life and parenting, and of course, to share about our late RoofTop Chalie and his adventures in being a real dog! Our RoofTop Chalie still hasn’t realized that HE can sit on the couch. I think he thinks it is a human thing. He has his own bed with cuddly blankets in every room of our house and he loves the comfort, but he never considered the couch yet! If we encouraged it though, I know he would absolutely love it too! Maybe when the kids grow up and move out! Haha! I love those records! Really neat. You make them? Soooo glad you dropped by my blog! I’m also a fellow “Lisa” and greyhound friend! 🙂 Love hearing about other hound adventures! I’ve had to teach a couple hounds the “ropes” as far as retired living! They are amazing creatures! Nominated you for the Leibster Award. 😉 Hope you will accept! It’s a great way to spread the word about fellow bloggers! I love your RoofTop Charlie! He looks alot like my Picasso, my 7th greyhound, who also lives with Luca, my 8th greyhound! So good to meet a fellow greyhound person! Love your site and the whole idea of repurposing!